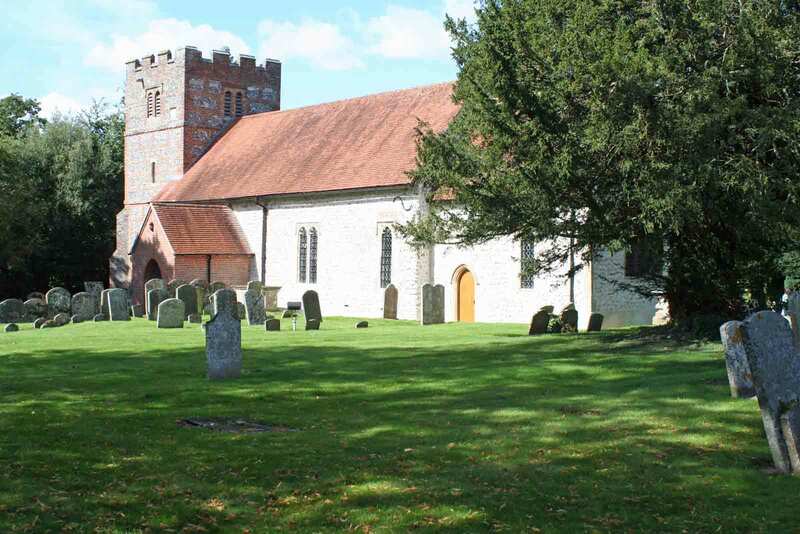 Our ancient Grade II* listed church is situated at the heart of the village on the banks of the River Lambourn. The churchyard is separated from a small village green and war memorial, on the Newbury to Leckhampstead Road, by a brick and flint wall and oak lych-gate, built to mark the Millennium. At the rear of the church, on the riverbank, the Peace Garden can be found, a wonderful spot for quiet reflection. We hope you will join us for worship and/or visit the church to enjoy the building in its peaceful and attractive surroundings. During the week you may find the church locked for which we apologise but sadly this is done for security. For the key please ring the churchwarden Joy Appleton on 01488 608422 or Sophie Lewin 01488 658772 or Julia Drake 01488 608594. 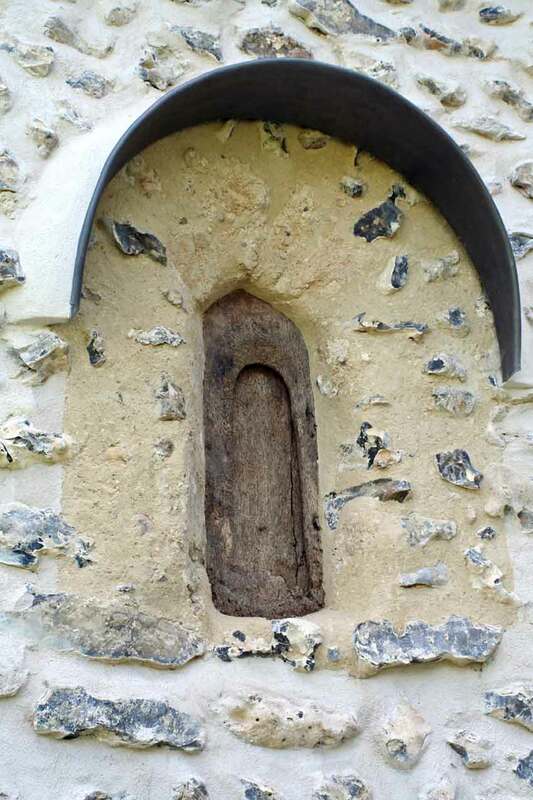 In 2010, workmen removing Victorian cement render from St.Andrew’s Church, Boxford were astonished to uncover a small Saxon window in the north wall of the chancel. The wooden window frame, carved from a solid piece of timber was most unusual in having a wooden shutter and is believed to be the only one of its kind in England. It has been left in situ with a moulded hood to protect it. Experts confirmed that the window was built at the time of the construction of the chancel wall which suggests that the chancel was in fact the whole of a pre1066 church and was likely to have had a thatched roof. The chancel also has stone quoins on its two external corners – a feature of Saxon building. The window can only be viewed from the outside as a large memorial covers the internal face. The 3R’s Project started in May 2010, aimed to repair the tower; reveal the ancient, possibly Saxon construction by removing the cement render outside and the internal plaster on the inside so enabling the walls to dry out before redecoration; and rejuvenate the interior by including toilet and kitchen facilities and removing the pews in the north aisle, so that the church can be used as a community centre. 2 of the 3 R’s, reveal and rejuvenate, were completed and a re-dedication of the church with a Harvest Festival service took place on October 3rd 2010 with around 150 attending. The Reveal element of the project has been an overwhelming success with finds including a Saxon window in the chancel. The Rejuvenate element has also been completed with the installation of a kitchen and disabled toilet which brings the church into the 21st century. The Repair element of the 3R’s will follow in due course!! The PCC would like to thank the many sponsors and those in the community who have supported the project with such enthusiasm. £140,400 was raised for the campaign. Please contact the churchwarden if you wish to hire the hall. church@boxford.org.uk The church has brilliant acoustics for choir or instrumental/band practices and a fully fitted kitchen suitable for small social gatherings/meetings. Please contact the churchwarden if you are trying to trace ancestors from the Parish of Boxford.